After looking at some more recipes and letting the initial take simmer in my mind for a bit, I was on edge with using 1 full pound of Crystal 60L. At ~7.5% of the total grist, it seemed excessive even though many recipes seemed to have around that much of similar malted grains, but I just couldn’t pull the trigger. I was worried about a cloying caramel sweetness that would over power the rich deep malt backbone from the Munich and Pilsner. 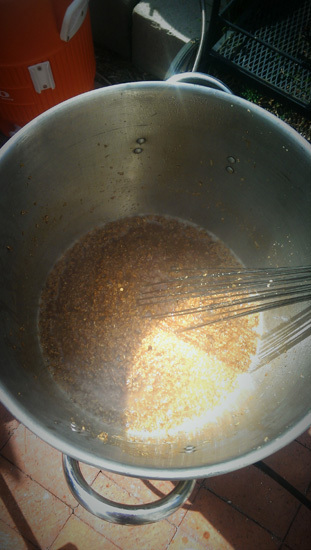 I also dropped the wheat because I didn’t want to fight haze with all the starches from the wheat and hoped that 4oz (just under 2%) of well toasted flaked wheat would add a bit of oomph to the beer, oddly the color of the wheat didn’t change all that dramatically, but the smell and taste sure did. I then bumped up the Munich and Pils to get OG more in range stylistically according to BeerSmith and increased the initial bittering charge of hops to again keep it more in style and to balance out the slight increase in gravity. I then started to question the mash temperature and technique. I went back and forth quite a bit about doing decoctions versus step infusions, and couldn’t really decide what to do, so I ended up doing both. In the end I felt that doing step infusions to hit my main temps would be fine and then I would do a single decoction with a large portion of the grains to hit the final temp for the mashout. This was done both to darken the color of the beer to style guidelines and also to push melanoidin production that would give it more traditional flavor. 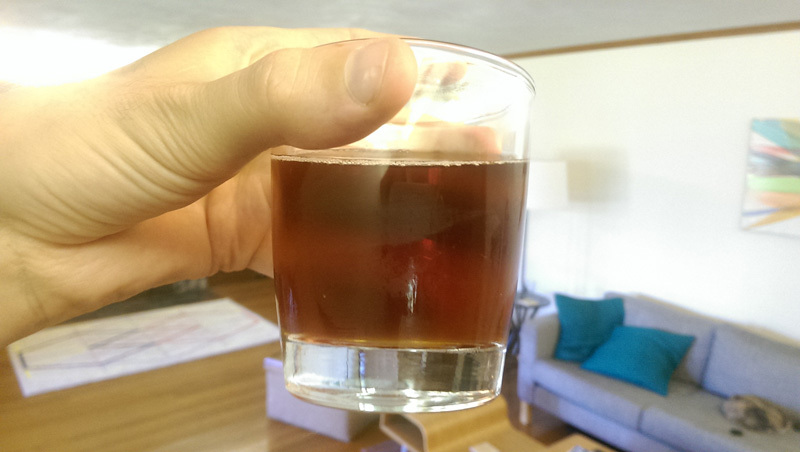 The first beer I brewed for the competition was my take on the Traditional Bock, which I called unTradtional Bock because besides the recipe, my fermentation schedule was also a bit on the untraditional side. 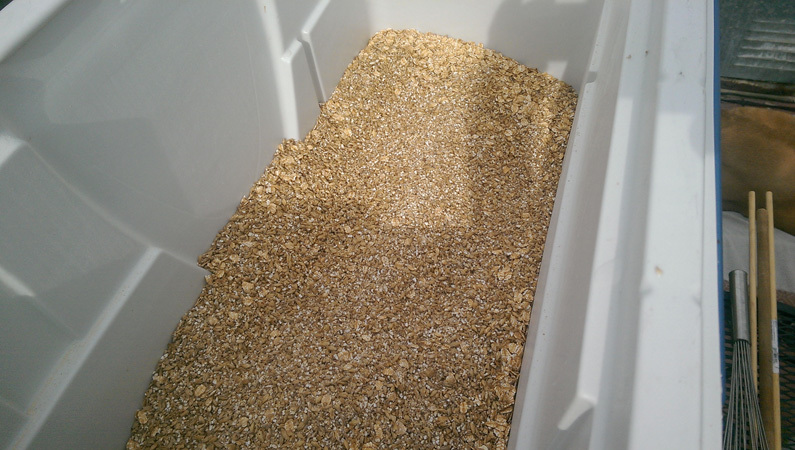 On brew day, I went to get my 12 gallons of RO water (11 for mashing/boil, 1 for making a new batch of star san). Treated the 11 gallons with 2 tsps each of gypsum and calcium chloride, heated up the strike water, and then doughed in for my protein rest. It was a touch early in the morning and I wasn’t able to do simple math and ended up adding an extra few quarts of water, causing me to mix hard to cool off the wort down to 125F (I didn’t want to add even more water to cool it down because the next infusion steps would have been even harder to hit), it only got up to 130F, so protease activity shouldn’t have been affected too much. After the 15 minute protein rest, I added the boiling water to get it up to 148F, which was nice to see. 30 minutes later I added more boiling water to get it up to 162F (ended up at 160.5, but that was high enough for me). 30 minutes later and I was pulling off more of the grain to boil, pulled out a bit more than 3 gallons and boiled and stirred for 30 minutes. Definitely got some decent color change, but adding it back to the mash didn’t really darken it up as much as I had hoped. 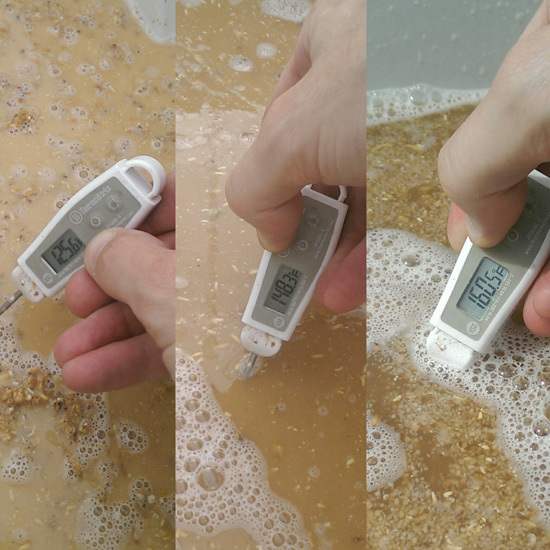 So I called an audible after draining my mashtun and sparging with the remaining bit of water and upped my boil time to 105 minutes in hopes of creeping up a bit on the SRM scale and also to get a bit more complexity to the wort. My darkened thick porridge is ready to serve. After cooling down the wort to ~70F (using an ice bath as my ground water was around 75F), the carboy was placed in my fermentation chamber set at 50F for a few hours to cool completely down for pitching. I pitched 3 packets of Saflager 34/70 dry yeast rehydrated in boiled and cooled RO water. After 7 days at 50F, I raised the temp by 5F per day until I got to 70F, there it sat for 5 days, then I dropped the temp to 32F in the chamber and let that sit for 4 days at 32F before racking to a CO2 purged keg. Now here’s where things get even more unTraditional... I sealed the keg at 30PSI and the next day placed the keg delicately in the back of a semi trailer with all my worldly possessions, where it spent a total of 11 days meandering its way across the country - through the broiling desert Southwest, the uncomfortably hot Midwest, and why are you still so humid New England. Once the trailer arrived at my new house, I set up my kegerator, and immediately got it chilling down to 38F. As it was cooling, I started carbing it, with the regulator set at 30PSI for 36 hours, before dropping it to 12PSI. I pulled the first pour, smelled it, and was extremely pleased; it was malty with a touch of sweetness (caramel raisin toffee goodness) and absolutely no hint of autolysis (I may have done a fist pump there). The first sip confirmed no off flavors that I could detect, just a great backend sweetness that lingered for a bit that held up to the strong malt backbone. It was a little hazy, but as it’s been sitting and aging a bit, it's getting clearer and clearer and the flavors are getting more round and clear. The hops may have been a little lost, yes it’s a malt forward beer, but it could have stood to be just a touch more bitter. The hop socks I’ve been using have probably cut down just a bit on utilization, so I should probably shoot for 10% more IBUs when designing recipes to get what I want. But all in all, it’s a fantastic beer and the more people I share it with, the more I feel like I have a winner. Cheers to a successful BrewUnited Challenge to all entrants! Very nice! That beer has literally traversed the country. Final pic looks amazing, looks like you got the color you were going for.